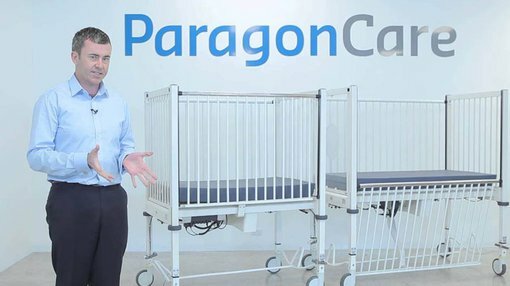 Shares in Paragon Care surged 14% immediately after the distributor of medical equipment, devices and consumables delivered a strong fiscal 2016 result which was ahead of management’s guidance and the expectations of Ian Christie at Argonaut Equity Research. This has prompted Argonaut to substantially increase its valuation from 90 cents per share to $1.05 per share, implying a premium of nearly 40% to yesterday’s closing price of 76 cents. Share prices are subject to fluctuation and investors should take a cautious approach to any investment decision in this stock and not base that decision solely on price movements. The share price spike as well as Argonaut’s increase in valuation suggests there is upside potential from current levels. In terms of outperforming the broker’s fiscal 2016 forecasts, it was a strong beat with a net profit of $7.5 million exceeding Argonaut’s expectations ($6.6 million) by 14.5%. The result also featured outstanding growth as the company benefited from the contribution of a number of acquisitions including Designs for Vision, Meditron and Western Medical. Net profit increased 257% on the back of a 190% increase in revenue. The 224% increase in EBITDA to $12.1 million, outstripping revenue growth, demonstrates improved earnings quality. On this note, EBITDA margins increased from 11.5% in fiscal 2015 to 13% in fiscal 2016. In highlighting the key factors driving the result Managing Director, Mark Simari said the acquisition program had substantially increased the scale of the business and expanded the company’s geographical footprint while also providing product diversification. It is worth bearing in mind that Simari could be reflecting on fiscal 2017 in a similar manner this time next year. The July acquisition of Midas Software Solutions should provide earnings support over the next 12 months. The group owns Midas IP, a world first, fully customisable interpretive reporting software program for a wide range of diagnostic medical examinations. What is significant in terms of Paragon’s business is that this software is used across many market segments, assisting radiographers, radiologists and sonographers in collating and reporting data in important medical areas such as vascular, obstetrics and urology. From an earnings perspective, this acquisition in isolation is likely to have more of an earnings impact in fiscal 2018 given it is an early stage business, but what should be noted is the good fit with Paragon’s existing MediTron operations in the area of providing premium medical devices to the urology/ultrasound sectors in Australia and New Zealand. Paragon’s near to medium-term outlook has been enhanced by the expansion of its acute, aged and primary care facilities in Australia which should benefit from the ageing population thematic. Paragon enters fiscal 2017 with a strong balance sheet. Gearing has fallen from 41.3% to 26.2%, providing the company with significant head room for further acquisitions. On this note Christie said, “Integration of the new businesses appear to be tracking well and we expect Paragon to continue to execute on opportunities to reap benefits of scale via targeted merger and acquisition to provide a ‘one stop shop’ for healthcare providers”. While acquisition opportunities appear abundant, Christie is of the view that demographic tailwinds in the healthcare industry should ensure organic growth and not just a reliance on acquisition contributions. Of course analysts’ predictions aren’t always guaranteed to come to fruition. Based on yesterday’s closing price, Paragon is trading on a PE multiple of 12.5, which appears conservative relative to peers in the health and biotech sector. Argonaut is forecasting a net profit of $12.1 million in fiscal 2018, representing earnings per share of 7.4 cents. If the company delivers on these forecasts it will have achieved three-year compound annual earnings per share growth of more than 30% between fiscal 2015 and fiscal 2018. This suggests the company is undervalued on a price-earnings to growth (PEG) basis.